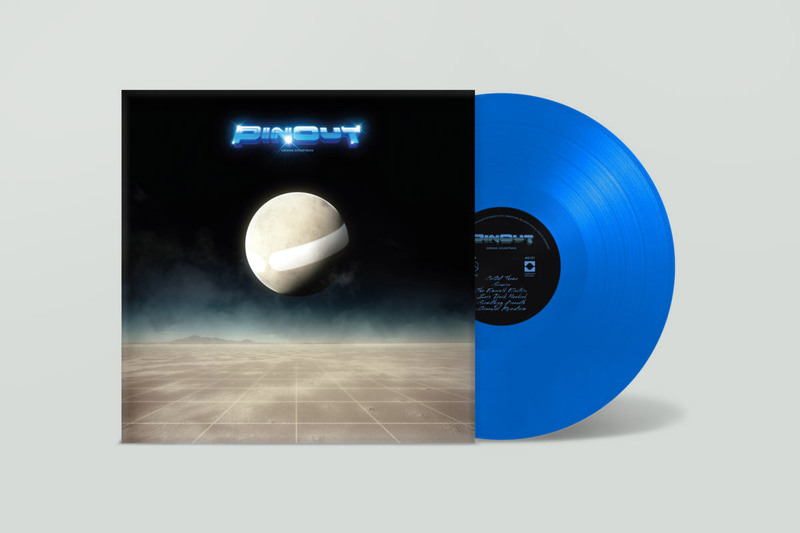 PinOut was my eight soundtrack for Mediocre, and as always it was a challenging but very rewarding process. When we tarted talking about the game I wasn’t quite familiar with the terms synth wave ro retro wave but I was aware of some of the music, and quite a bit of the musical roots of the genre. Being a child of the eighties and a fan of electronic soundtracks it wasn’t a huge leap for me. But I did have a slightly different sound in my head than the guys at Mediocre in the beginning of the process. The first sketch I did actually hit home pretty instantly, and that was the song that is now called Hypersphere. But after that things weren’t as smooth for a while… I had imagined something a bit more pop, and with an airy, 80:s production with lots of gated reverb and stuff. But the guys at Mediocre wanted something more along the lines of the dark, heavily compressed modern synth wave stuff. So I tuned in to some more of that, and kept on sketching, and came up with some tracks that we all really liked. As soon as I had a few beat-driven heavy sketches, I did a few ambient ones and got really nice feedback from the guys so from then on we all felt we were on the right track. We had talked early on about using vocals, even though it’s quite unusual in the arcade-y world of a Pinball game. I came to think of my old friend Susanna Lundgren and she was totally up for the task. In fact she had listened A LOT to synth wave and was really into the whole thing, so it was a great match. When the game was released we put out a vinyl LP with the soundtrack. It’s temporarily unavailable, but keep an eye on my twitter feed and I’ll let you know when it’s available again. If you want to know more about the inception of the music for PinOut, check out the podcast interviews below.